It started with the blind promos. Snippets of John C. McGinley delivering a speech in a college lecture hall, challenging the notion of what has value, how one defines happiness, what really makes you rich. They began popping up on SiriusXM’s homepage, The Highway and Y2K Country with only the tag “World Video Premiere,” along with a date (Friday, 4/28/17) and a time (10 a.m. EST). Nothing more than the intriguing pieces of a lecture, and a plain page. 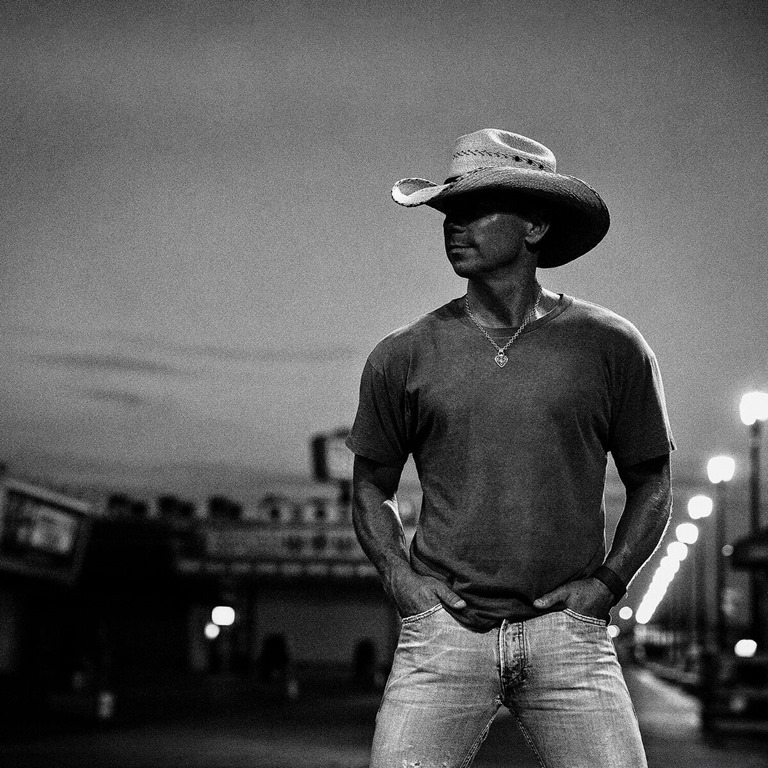 What it was about remained to be seen, and that was the intention of Kenny Chesney, who’s spent his last two album cycles doing the unlikely and the unpredictable. That inclination continues, as the man The Los Angeles Times deemed “The People’s Superstar” made a full-budget video for “Rich and Miserable,” an album track from Cosmic Hallelujah, teasing its world premiere with no mention of the song or the artist. Teaming with SiriusXM for the rollout, it marked another first: a world premiere on the satellite radio platform as Chesney created a new dynamic for videos. With its layered harmonies and under-rhythms, “Rich and Miserable” may be the most sophisticated production the songwriter/superstar from East Tennessee has ever recorded. But the Shane McAnally/Josh Osborne/Jesse Frasure song also digs deeper into the psyche of the striving American condition. Though known for his kicked-back kind of country, Chesney hoped the song would connect in a way that would create some introspection about why we need our getaways so badly – and possibly recalibrate the way we prioritize our lives. With lyrics that include, “We don’t know what we want/ But we want it and we want it all right now/We’re too young until we’re too old/ We’re all lost on the yellow brick road/ We climb the ladder but the ladder just grows…,” “Rich and Miserable” is a song for a world moving faster, the bar always being raised higher and the impossible stress that comes with it. For Chesney, who’s become the antidote to these pressures, it’s a clarifying song designed to cast a light on how we get to such intensity, in hopes that we might find a less excruciating way to find balance. “I know people don’t always do things like this,” Chesney admits. “But sometimes, if you want to make it about the music and what the songs are trying to say, you need to. I love this clip, love John’s speech, every student’s reaction hearing someone break it down for them — and every single word written on that board. And with SiriusXM teaming for this most unusual video debut for “Rich and Miserable,” Chesney looks to continue expanding his passion for music and the people who find their lives in his songs.